John Pienaar talks to Mayor of London Sadiq Khan about climate change and the new Ultra Low Emission Zone in central London. He also discusses Brexit with cabinet minister Liz Truss, French MP Alexandre Holroyd and conservative backbencher Priti Patel. On the panel are Jessica Elgot from the Guardian and former Downing Street director of communications Katie Perrior. 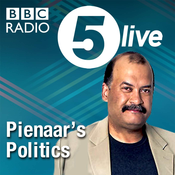 John Pienaar discusses the events of last week and what next for Brexit with Shadow Foreign Secretary Emily Thornberry, Home Office Minister Victoria Atkins, Heidi Allen from the Independent Group and comedian Pierre Novellie. John’s panellists are Chloe Westley, Campaigns Manager for the TaxPayers Alliance and former Vote Leave staffer and Deputy Political Editor of the Times Sam Coates. John Pienaar talks Brexit and Theresa May’s leadership with Education Secretary Damian Hinds and Conservative backbencher Steve Double. Labour’s Shadow International Development Secretary Dan Carden and Alison McGovern discuss the campaign for a second referendum. On the panel are Katy Balls from the Spectator and Guardian columnist Gaby Hinsliff. 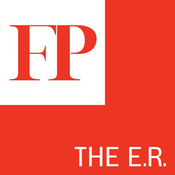 Lyt til Pienaar's Politics, FP's The Editor's Roundtable og mange andre stationer fra hele verden med app'en radio.dk.